Occasional Spring showers have kept me dodging raindrops over the past couple of days. 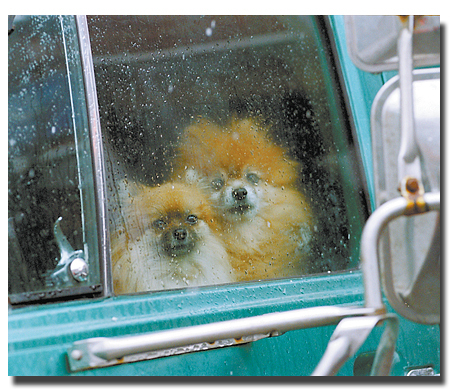 I was grabbing a cup 'o Joe at Expresso News yesterday when I captured this image of a pair of pups watching me and others go through our daily hoops. I believe they think we are quite a silly, but adorable and entertaining species.